Bluefish444 IngeSTore Server 3G is a dedicated 3RU Server able to capture up to 4 independent streams of video from separate 3G/HD/SD-SDI sources simultaneously. 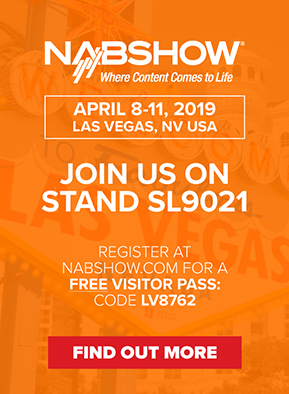 Recorded files can be captured in Uncompressed, DV, and DVCPRO50/HD file formats free, and additional codec upgrades are available for purchase. IngeSTore Server 3G comes pre-configured with Windows 10 Pro operating system, Bluefish444 IngeSTore software, dual port 10Gb Network Interface to connect with existing network attached storage, professional NVIDIA Quadro GPU, and a Bluefish444 Epoch | 4K Supernova S+ professional SDI video capture card. 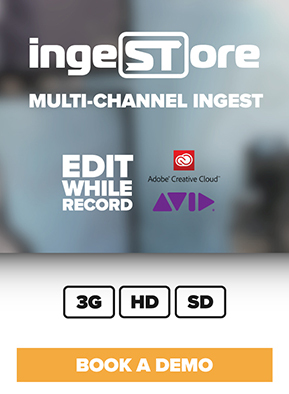 IngeSTore multi-channel capture is the perfect companion for multi-cam studio setups, ISO recording, archiving from HD/SD video tape, post-production, electronic news gathering (ENG), uncompressed capture for later encoding, and Edit-While-Record functionality. Bluefish444 have developed IngeSTore as a multi-channel ingest tool enabling IngeSTore Server 3G to capture multiple independent format SDI sources simultaneously. Capture to QuickTime, AVI and DVCPRO50/HD codecs for free, with additional codecs available via licence upgrade. 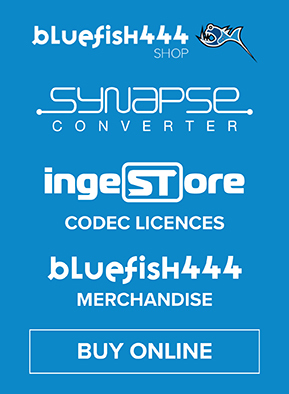 These additional codecs are available for purchase on the Bluefish444 Shop.